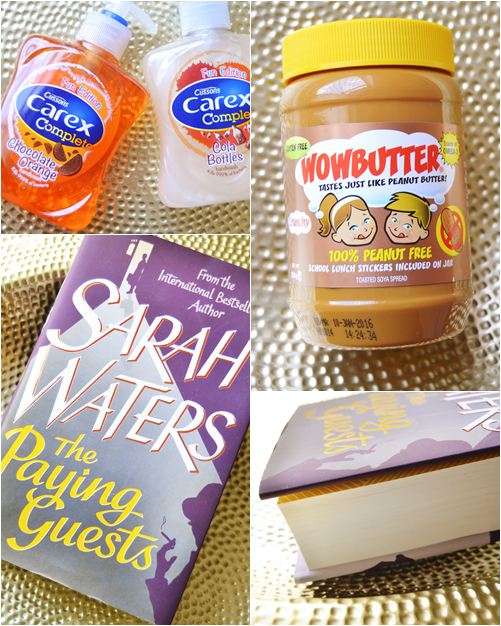 Today I have my last Friday's Favourites post for you in September! I can't believe how quickly summer has gone though I'm very much looking forward to it being properly Autumn and Halloween. 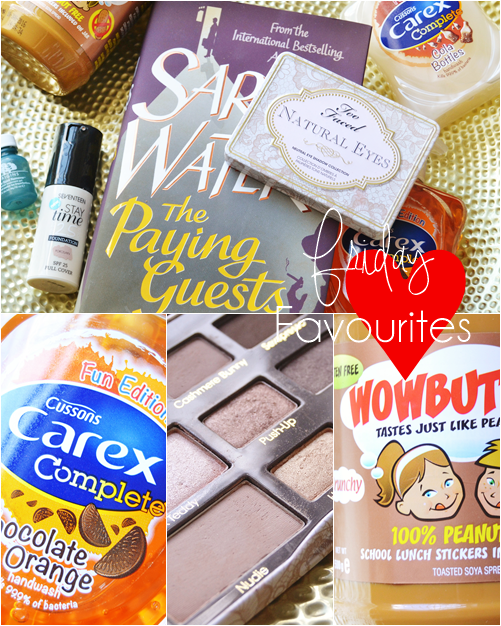 This week's favourites are a very mixed bag of things but all are products and items I've been really loving. Hope you're still enjoying this weekly series and it's not becoming too same-y! This is just a neutral eye lovers dream! I have this for many months and been loving it but as the weather is turning colder I've been enjoying it even more and getting use out of all the wonderful buttery shades. Favourite shades include Silk Teddy, Cashmere Bunny, Push-up and Chocolate Martini. Just so pigmented and with an amazing selection of matte, pearl and shimmery shades. I actually love this more than my Urban Decay Naked palettes which says a lot! In the past week I've had a strange out break of sore small spots under my chin around my jawline. As they were red and sore I wanted them gone ASAP so nightly I've been applying my trusty Origins Spot Remover Gel and finally they are all clearing up! This reminded me how good the Origins gel is for removing all types of spots. Also really don't let the size of the bottle put you off as this lasts the longest time - I've had mine for well over a year now. 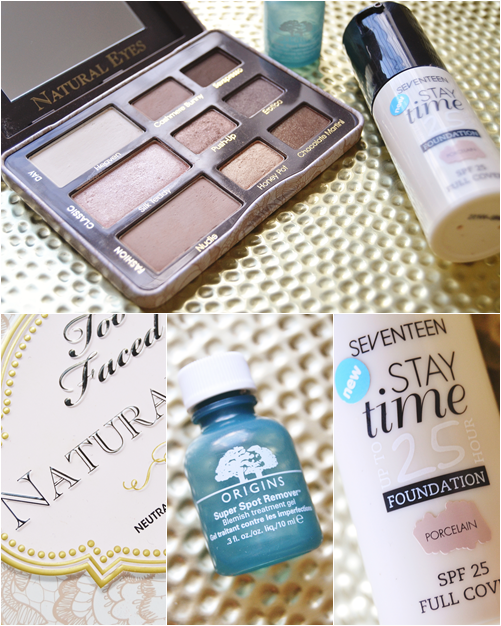 Another product that I couldn't have been without this week is the Seventeen Stay Time Foundation, again to properly conceal the small spots I've had. This is the fullest coverage foundation I have and it really does cover all redness and any blemishes you may have without looking cake-y or thick. It isn't a foundation I would constantly wear as I prefer a sheerer finish when my skin is behaving but for times when I'm skin conscious it works wonders. A must if you have bad skin days! Last week I came across this intriguing non-peanut butter that apparently tastes exactly like peanut butter. I don't have an allergy to nuts however it was on the health foods aisle in Tesco and is made from toasted soya and is free from a lot of things.... so I figured it's going to be healthier than standard peanut butter. Now I don't often eat peanut butter on toast so I've been eating this straight from the jar or smothered onto a banana and oh my word it's been amazing! This is actually tastier than normal peanut butter and doesn't feel as oily which I'm pleased about. I had to mentioned it as it's so so sooo good but also very handy if you are allergic to nuts as it's even produced in a nut-free environment. Sarah Waters is one of the only authors I get excited about and have read all of her books to date. The reason for this is her detailed but easy writing style that pulls you back in time and into the lives of the characters. The Paying Guests is Water's most recent book which I've sadly just finished and would highly recommend to anyone that loves history or sapphic literature. I won't even give the storyline away with this one but will say that all the characters are so detailed and the story keeps you hooked throughout with twists and turns. Also this really felt like an autumn/winter read to curl up with a blanket and enjoy. A very random favourite here with hand wash but one I had to include as they are so fun and smell even better than you'd imagine! Carex Cola Bottles Hand Wash has been a staple next to my sink for the last 6 months as it literally smells like fizzy cola bottles but then last week I decided to try out the Chocolate Orange scent and again was amazed how spot on the scent is.... think creamy orange dark chocolates! These are not only fun for kids but makes washing your hands much more enjoyable as the wonderful scent drifts up. If you're already a sucker for yummy bath products then these are a must for next to your sink! Hope you've enjoyed this week's favourites.